Led by the Internet of Things, the market size of smart home will have chance to surpass smartphone market in the future. So smart lighting will follow this trend and become an important market for LED lighting. In addition, buildings and cities are growing smarter as well, driving the growth of smart lighting technologies and market. Both building energy management system (BEMS) and home energy management system (HEMS) have incorporated lighting as a part. Coupled with the introduction of semiconductor lighting, the development of smart lighting will be accelerated. According to LEDinside, the global smart lighting industry witnessed rapid development in 2017, reaching a market size of nearly US$4.6 billion, an annual growth rate of 95%. As the technologies and products go mature and related concepts become popular, the market is expected to reach US$13.4 billion in 2020. In recent years, Philips focuses on smart lighting network, and promotes the development of Internet of Things in lighting industry with the premise of energy saving and environmental protection. Philips Hue, a subsidiary of Philips Smart Lighting, released smart bulbs Hue in 2012. Since then, it introduced a series of smart lighting products, including light strip, lamps, controllers and portable LED light (Philips Hue Go), to meet different lighting needs. Users can control the lights with Philips Hue App on iPad or iPhone, or through the Apple HomeKit. In 2017, Philips jointly work with several Chinese manufacturers to deploy in smart lighting network. For example, Philips cooperates with DingDong speaker of JD.com, so users can control their smart home lighting system through the Chinese voice recognition provided by DingDong Speakers. Previously, Osram sold LEDVANCE, its traditional lighting business, and integrated resources for industrial smart lighting. Then in 2016, Osram merged Lightfy, its smart lighting business, and Digital Systems, its digital lighting business, in order to combine the strengths of both units. In 2017, Osram established the world's largest and most advanced LED chip production base in Kulim, Malaysia, and the products include 150mm-wafer-based LED chips. In addition, Osram acquired a minority stake in Tvilight, a Dutch software company, helping Osram further deepen its influence in smart lighting sector. Recently Osram partnered with Germany-based Beckhoff and Microsoft to launch the smart lighting solution for Industry 4.0, including innovative lighting and interconnected lighting management systems enabled through cloud and building automation. The solution has been already applied to Beckhoff’s building in Verl, Germany. From joining the lighting industry in 1996 till now, Opple Lighting has gradually transformed into a provider of lighting system and comprehensive home solutions. Taking smart lighting as the core, Opple Lighting is now actively exploring smart home-related applications. In addition, through product development and cross-sector cooperation, Opple Lighting has realized interconnection of lighting products and remote control. For example, Opple Lighting and Huawei cooperated in the end of 2016 to launch smart home product kit, and jointly built sample apartments of smart home in real estate projects of COFCO Property. In the future, Opple plans to introduce Opple Smart Home 2.0, and to develop more smart applications of voice control, entertainment, health and security. 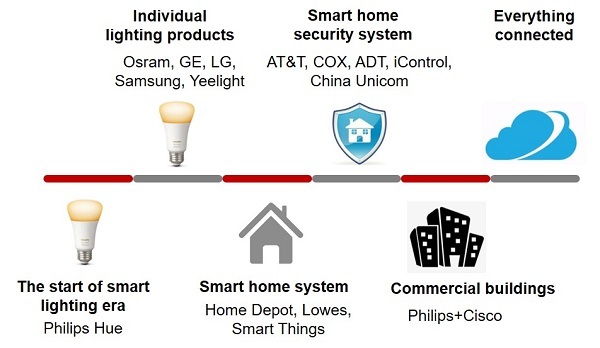 Smart lighting products have higher probability of having problems than traditional ones because they are high-tech and interconnected. For now, more than 90% of the smart home products need sophisticated installation and incomplete after-sales service. In this case, different manufacturers need to improve product performance and enhance the consistency, thereby making the products more convenient for consumers. 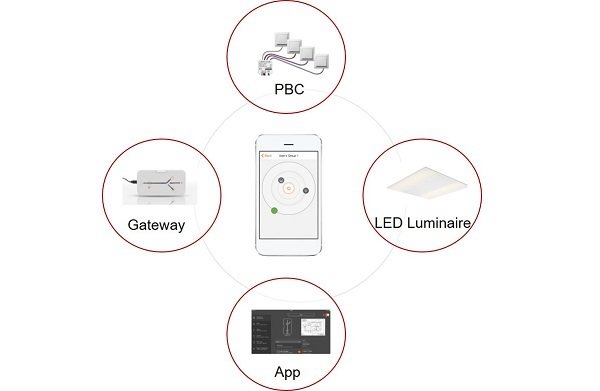 In the early stages of development of this technology, smart lighting manufacturers tend to over-emphasize the diversification of functions and advancement of technologies instead of prioritizing the actual needs of consumers. Hence, consumers have remained conservative of smart lighting products for a long time. With the development of smart lighting, user-friendly designs will be the mainstream of product research and development. That is, the designs will be based on human behavior, visual effects, visual physiology and psychology. Products will be more scientific and people-oriented, while being efficient, comfortable and healthy at the same time.